My family loves this festive take on your basic grilled cheese. It’s perfect for the weekday—I certainly don’t have time to tend to an entire corned beef brisket mid-week, but I buy thick-sliced corned beef from the deli to make these on St. Patrick’s Day, then over the weekend we go all out: I’ll make slow-cooker corned beef and cabbage, and we’ll have a proper St. Patrick’s Day (well, St. Patricks’ Day weekend) meal. Whether you’re in the same boat and looking for a quick St. Patrick’s Day dinner idea, or you’re looking for a way to serve leftover corned beef, this is the absolute best corned beef grilled cheese sandwich ever. 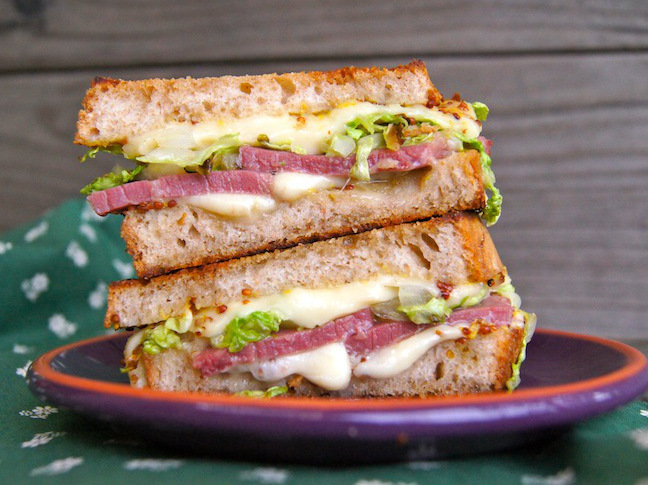 Corned beef, cheese, cabbage, and honey mustard between slices of buttery, crisp bread make for the most heavenly, easy weeknight dinner. Pick up some corned beef at the deli and skip the hassle of spending hours tending to brisket on the stove with this epic sandwich recipe. Step 1: In a small bowl, mix the honey with the mustard. 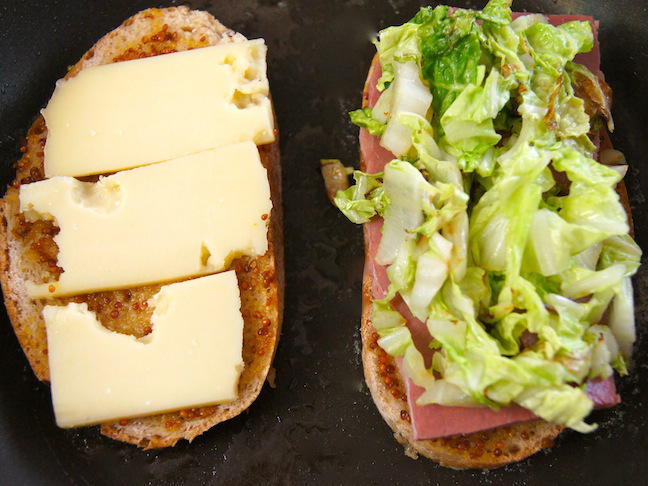 Step 2: Spread an even layer of the honey mustard on one side of each slice of bread. 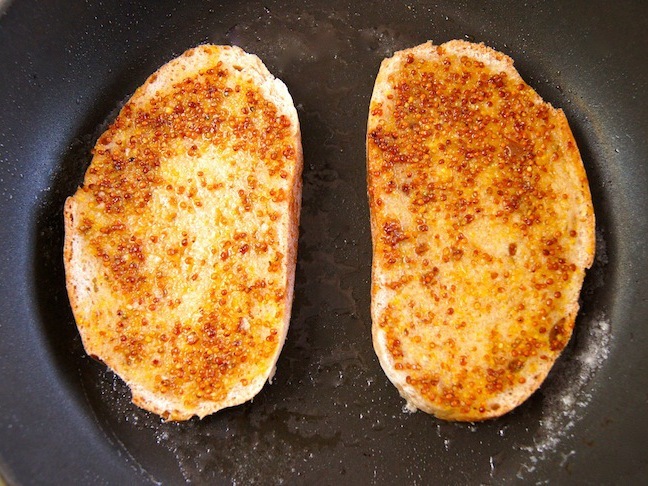 Melt the butter in a medium sized sauté pan, over medium-low heat, and add both slices of bread, honey mustard–side up. 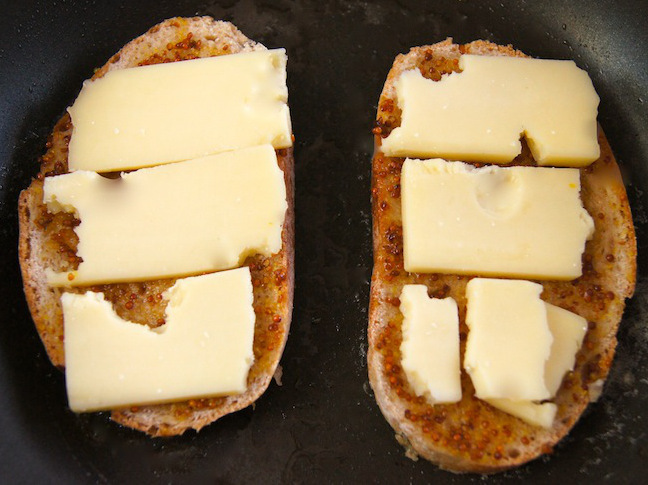 Step 3: Add the slices of cheese, in one layer, to both slices of bread. 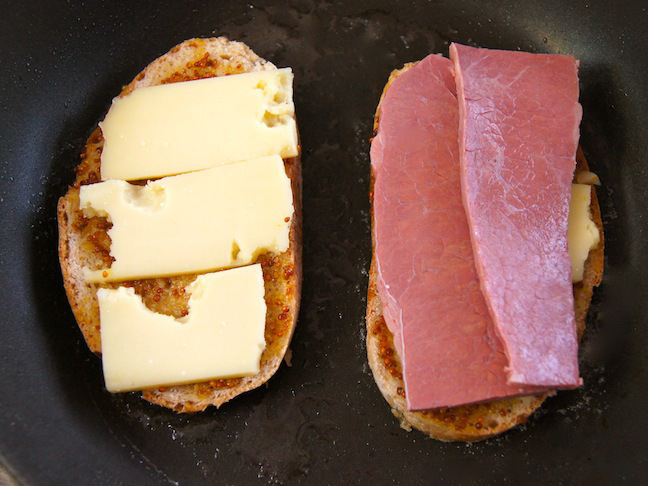 Step 4: Place the corned beef slices, in one layer, on top of the cheese on one of the pieces of bread. Step 5: Add the cabbage on top of the corned beef. Step 6: Once the cheese has melted, add the other slice of bread to complete the sandwich. Use a flat-bottomed spatula to gently press down on the top to bring all of the ingredients together. Step 7: Remove from the pan and eat! Since the size of the bread will vary depending on what type you're using, honey and mustard measurements might vary as well. My kids prefer a smooth, yellow mustard, but my husband likes the grainy one I've used here.